Chatbots have been around throughout recent decades. In any case, I believe it’s sheltered to state that chatbots are as yet developing. The abilities of a chatbot are unbounded and organizations are yet to release the maximum capacity of chatbots. Need help? Call us today! By now, you’ve likely had your fair share of interactions with chatbots online. They exist almost everywhere: retail sites, corporate social media accounts, and even healthcare providers use them to automate interactions and streamline workflows. While chatbots can be an invaluable resource, especially when it comes to consumer assistance, there is still a piece of the equation that is missing. That is, of course, the human element. As their last line of defence in an interaction, chatbots will often defer the user to a human representative if they are not able to answer the query at hand using their conversational script. Truth is chatbots cannot replace customer service agents entirely in the near future. The real value addition lies in a hybrid solution where humans and chatbot work together. While a human touch is always nice, will there ever be a point when it is phased out completely in the customer service sphere? In other words, will chatbots ever reach their full potential as independently capable agents that can provide a full range of solutions to the everyday issues posed to them by a diverse field of users? 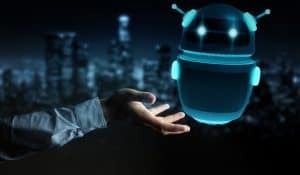 Chatbots exist as units of artificial intelligence, and the question concerning the integration of humanity in AI has existed since the original development of the technology. One of the earliest experiments with AI was the ELIZA program in the early 1960s. ELIZA was a chatbot, designed to respond to user conversational inputs in a way that would simulate human speech. The results weren’t always accurate, and the user would eventually realize that they were speaking to a bot and not another human. One of the ultimate goals of artificial intelligence is to one day build a bot that will be able to completely pass the “Turing test,” meaning that a sample size of humans on the other side of the interaction would believe that their conversation partner was human as well. While the chatbots of today are not yet able to fully pass this test, we seem to be getting closer every year. The flip side of smarter bots is the use of bots to imitate human conversational tactics for nefarious purposes, such as gaining financial information from users online. 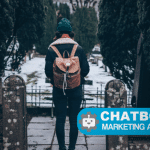 While this is not the accepted purpose of the technology, it does illustrate the potential that chatbots possess to anticipate user input and stay one step ahead in any given interaction at all times. These bots are often found in instant messaging services and are also popular on dating apps and websites, where they exist within custom-built fake profiles. Their speech abilities while posing as individuals on dating sites are especially interesting, as the user on the other end of the conversation is fully under the impression that they are speaking to another human. The success of these bots in extracting the personal information they seek is certainly not a good thing, but it does showcase how complex bots have become in mapping and mimicking human interaction. An integral part of what makes chatbots function properly is a system known as natural language processing. At the dawn of artificial intelligence technology, chatbot speech patterns often relied on a handwritten set of rules that would branch off into complex trees, essentially dictating the way that the bots would respond to specific inputs and word patterns. Over time, more robust systems for handling speech have been developed, and many modern chatbots are powered by machine-learning algorithms that are actually able to use conversations to build out the bot’s response database. In other words, the vocabulary of a bot is no longer restricted to the parameters created by its developers. The bot is actually learning as it interacts, and integrating user word inputs to become more accurate in its responses. This represents a major leap in the chatbot technology that was available even a few decades ago and forecasts a positive future for the platform. To get a more concrete idea of that future, it is necessary to look no further than the advent of Cleverbot, a chatbot that exhibits the benefits of the machine learning algorithm format. Cleverbot is constantly learning and interacting with users, and on average, is usually conversing with around 75,000 users at one time. The bot saves all user conversations in a database, and when a new conversation arises that matches a previous conversation topic, it is able to pull that script and use it to inform the new conversation. By pulling from these previous conversations, Cleverbot is also pulling human input, and in turn, evolving its own interactive capabilities to become increasingly human in cadence. At the 2011 Techniche festival in 2011, 59.3% of users judged Cleverbot to be human; a score above 50% had been decided upon as a passing grade in the Turing test for that particular competition. While we may not have chatbots that would receive a perfect score, we are making significant strides towards that ultimate goal. The internet has instilled in us a desire for convenience and instant gratification, meaning that chatbots are more in-demand than ever. 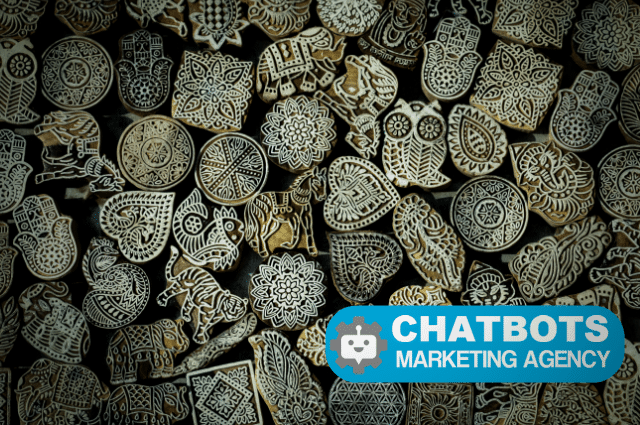 This means more users are interacting with chatbots on a regular basis, and through machine learning algorithms, the chatbots are becoming increasingly intelligent. We can never know for sure what the future holds, but we can say that the end of the bot surge is nowhere in sight. For now, one of the best ways to participate is to brush up on bot knowledge and possibly even try your hand at creating your own. Amazon recently launched a .BOT domain registry service that makes bot building easier than ever, as well as a resource site that can help introduce you a bit more to what the world of bots has to offer. If you’re not ready to jump in with both feet quite yet, keep your mind open in your future conversations with bots online — now that you know some key bot facts, you can test their speech abilities and help the technology grow. 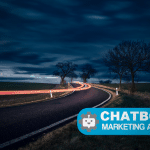 If you need a Chatbot for your business, there are hybrid solutions already on the market that offer the best of both, increasing automation, accessibility, around-the-clock service and response suggestions on one side, and on the other side human agent, once the knowledge base is exceeded. John Van Duyn is a bot enthusiast with a specific interest in conversational design and writing natural dialogue for chatbots. He graduated from Emory University and is based in Atlanta.